Despite earlier claims about Trump allegedly using a tanning bed, three sources who spent time in the White House reportedly said that no such device exists anywhere in the building. As the United States continues to endure winter’s chill, a source in the White House reveals how President Donald Trump manages to maintain his “sun-kissed glow” during this time of the year, The New York Times reports. Despite earlier speculation about various tanning methods, the source claimed that Trump’s skin colour is the result of his "good genes". According to the official, the president does apply a little powder before his appearances on television, but the powder in question is translucent and not a bronzer. Many social media users, however, had their own ideas about the official’s revelations. — Fiona Glenanne 🐳 (@cjm314) 3 февраля 2019 г. — Russell Graves Jr (@Russ_Graves) 3 февраля 2019 г. 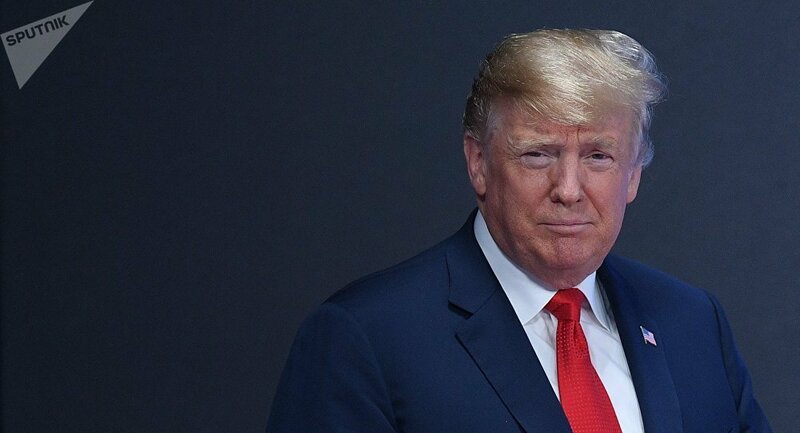 Here is the Trump "tan" that the New York Times just described as "sun-kissed" and "vibrant"
— Seth Abramson (@SethAbramson) 3 февраля 2019 г. — The Friendly Pirate (@pirate_friendly) 3 февраля 2019 г. — WARRI0R (@WARR10R12) 3 февраля 2019 г. However, this claim was debunked by three people who spent time in the White House and told NYT that “no such bed or spray-tan booth exists in a hidden nook of the residence, a cranny of the East Wing or a closet on Air Force One”.